Find the answers to your questions related to Members 1st products, and services. How to troubleshoot your Members 1st account connection with Quicken, Quickbooks, or other budgeting programs. Your Members 1st account can connect with most budgeting software programs or online vendors such as Quicken, Quickbooks, Mint, and more. If you’re experiencing difficulties connecting your account, review our troubleshooting tips below. Tip 1. Be sure you’re registered for Online Banking with a functional username, password, security image, and security questions. These budgeting programs access your account with the use of web scrapping, where your account information and transaction history are collected by sharing your Online Banking login information with the vendor. If you’re not setup for Online Banking, you may register online and m1cu.org/Online. Tip 2. Update your software program to the latest possible version. Some software programs, such as Quicken, have changed their connectivity method to all financial institutions, including Members 1st. Older versions of Quicken will no longer connect and require that you update to the latest version of Quicken. If you’re experiencing difficulties connecting your Members 1st account, review the version of your software and check with the provider to see if an update is available and will solve the problem. Tip 3. Contact your budgeting software provider’s support team. Most vendors provide some means of web or phone support. If your vendor indicates the connectivity issue resides with Members 1st, test your login to Online Banking. If you have difficulties logging in, please contact Members 1st. 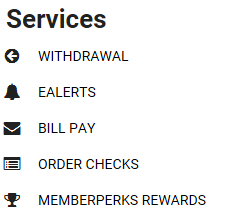 If you are able to successfully login to Members 1st Online Banking, there is no connectivity issue from Members 1st and the issue resides with the vendor. How do I conduct a Wire Transfer? What are the fees associated with my account? Please see the Fee Schedule for all account related fees. Visit the Checking page for a comparison of common account fees and the savings available with Members 1st. Checks can be ordered from any Members 1st branch or through Online Banking. Login or register for Online Banking now. What is the routing number of the Credit Union? The routing number for Members 1st Credit Union is 321174738. When do I receive my member statements? Members who are not signed up for eStatements will receive a physical statement to their residency. Active member accounts receive statements monthly. Inactive member accounts receive statements quarterly. How long are check holds? Please visit the Funds Availability Funds Disclosure for details. What is Check 21 and how does it affect me? Check 21, became effective on October 28, 2004. Check 21, allows checks to clear more quickly due to increased efficiency through the use of electronic image technology. Original checks will be copied, sent electronically to the clearing institution and the substitute check will be cleared. Check 21, does not affect the way that you write checks or accept checks. The time it takes for a check to clear can decrease dramatically. In the past, it could take days for checks to clear an account. But with Check 21, it could take just hours for a check to clear. What should I do if I detect fraud on my account? Contact a Member Service Representative immediately by calling (530) 222-6060 or (800) 303-3838 or visit a Members 1st Credit Union branch. Courtesy Pay is an additional overdraft protection service that will allow a check or electronic debit to clear checking account in the event of insufficient funds. At that time, the member's Courtesy Pay would pay for the transaction plus a per-item fee. That means, instead of returning a check to the merchant because of insufficient funds, the credit union may pay your check or electronic debit, saving you additional charges from the merchant by having the item returned. How do I access notary services? Notary services are available to members at any Members 1st branch. Please schedule an appointment prior to your visit to ensure our notaries are available to handle your request. Please review the fee schedule for any applicable fees. Overdraft Protection can assign a back-up account to be drawn upon in times when your primary account does not have sufficient funds for a transaction. There is no charge from Members 1st for use of Overdraft Protection, a commonly charged service at most banks. Back-up accounts can consist of savings, auxiliary savings, checking, and Visa credit cards. How do I redeem Savings Bonds? Savings bonds can be redeemed by members at any Members 1st branch. The owner or co-owner of the bond must be present. Bonds can be redeemed a minimum of 12 months after their purchase date. The type of savings bonds available for redemption are Series E, Series EE, and Series I. Redeemed bonds must be deposited into the members savings account. How do I access medallion stamp services? Medalion stamp services are available to members at any Members 1st branch. Please schedule an appointment prior to your visit to ensure our staff is available to handle your request. Please review the fee schedule for any applicable fees. Can I request for a check to be mailed to me? Members can mail themselves a check from within Online Banking, Audio Response or calling the credit union at (530) 222-6060 or (800) 303-3838. Do you offer travelers checks or travel cards? Members 1st offers a free travel card in place of travelers checks. The travel card functions like a debit card, but allows members to preload the card with funds separate from a checking account. This provides additional safety to your checking account should the card be lost or stolen while traveling. Plus, the Members 1st travel card is EMV equipped and accessible at 30,000 ATMs across the globe. Learn more about prepaid/travel cards now. Members can change their address, phone number, and email address within Online Banking or by visiting their nearest Members 1st branch. Register for Online Banking now. How do I place a stop payment? Place a stop payment by completing the Stop Payment Form. How often does my account need activity to avoid it going dormant? Members must utilize their account once every three years to avoid account dormancy. An account can avoid dormancy by a member initiating at least one deposit or withdrawal per calendar year. Can I setup transfers to another Members 1st member account? Yes, you can choose from many transfer options. If you do not have access to the member's account, you'll need to visit your nearest Members 1st branch to setup a one-time or recurring transaction. If you do have access to the member's account, you can setup transfers online within Online Banking. Can I transfer funds to another financial institution? Yes, you can setup an electronic transfer to another financial institution by visiting your nearest Members 1st branch. Do you have safe deposit boxes? Safe deposit boxes are available at some Members 1st branches. Please contact us for specific details. What is Audio Response/Telephone Banking? Utilize your touch-tone phone to make financial transactions, retrieve account information, make loan payments and much more with Audio Response. Download the Audio Response Guide for instructions and additional information. How much can I withdraw at an ATM? Members can withdraw up to $500 from their account at an ATM. Surcharge fees may apply at non-Members 1st ATMs. What is a mixed media deposit? A mixed media deposit is the ability to deposit both cash and checks at the same time at the ATM. Our ATM is able to decipher cash from checks and ensure that the proper holds are placed on checks while zero holds are placed on cash deposits. Mixed media deposits are available at most Members 1st ATMs. What to do with damaged or mutilated money? The government will replace burned or mutilated money faster for individuals than it will for the credit union. To receive reimbursement via a check, provide payee and mailing address information. Treasury examiners are usually able to determine the amount and value of mutilated currency. Careful packaging is essential to prevent additional damage. If the currency is brittle or inclined to fall apart, pack it carefully in plastic and cotton without disturbing the fragments and place the package in a secure container. The currency should be insured and may be mailed via FedEx/UPS/US Postal Service, registered mail, return receipt requested. The amount of time needed to process each case varies with its complexity and the case workload of the examiner. Standard claims can generally take 6 – 36 months to process depending on the condition of the currency. What do I do if my Visa Debit or Credit Card is lost or stolen? As soon as you’re aware that your credit card or check card has been lost or stolen, contact member services at (530) 222-6060 or (800) 303-3838. You will need to have your credit or debit card number to report the card missing outside of our hours of operation. You are not responsible for any fraudulent charges on a card if you report it promptly. How can I get cash back on my Visa Debit Card? Our collection of ATM networks make it possible for you to get cash back at a majority of merchants. It is up to each individual merchant if they allow cash back and how much their cash back limit is. There may be a fee from the merchant to use your card as debit and/or to get cash back. If you have a PIN number for use with your card, you can select the debit option at those designated merchants to get cash back. Why do I have a hold on my account after I purchased gasoline with my debit card? Some gas stations place holds exceeding the amount of gas purchased. These holds may be avoided if you run your purchase as Credit with your debit card or go inside and purchase a specific amount. When will I receive my cards? New and reissued cards should be received in 7 to 10 business days. If you need to rush your card order, please contact Members 1st by calling (530) 222-6060 or (800) 303-3838 or visit a branch. How do I dispute a Visa card transaction? To submit your Visa Card Dispute, please dial (800) 808-6402. Provide and answer all questions asked of you. Please allow up to five days to process your dispute. A confirmation of your card dispute and decisioning information will be sent to you by mail. How do I reset my card PIN? If you have lost or forgotten your card PIN, please contact Members 1st Credit Union to receive a temporary card PIN. To change an existing or temporary card PIN, call (877) 267-6941 or visit any Members 1st branch ATM. Watch our EMV Tutorial video. What is an EMV Card, Smart Card, or Chip Card? Your EMV card comes with an encrypted microchip embedded in the card. The microchip provides an enhanced layer of security to your transactions. Plus it provides a convenient and secure way to make purchases when traveling outside the U.S.
How do I activate my EMV card? To activate your EMV card, please call (877) 723-5999 from the primary member's phone number. Follow the phone prompts, and be sure to have the primary member's social security number to complete the card activation. How is the EMV Card more secure? Whenever you check out at a chip-enabled terminal, a unique one-time code is created that allows the purchase to be approved. These security features make your new EMV card extremely difficult to counterfeit. Why is my card being upgraded to be an EMV Card? Chip technology is already used in other countries and is now coming to the U.S. Your new chip-enabled card provides an extra level of security and is easier to use at places already chip ready. Can I use my card for everyday transactions or at non-chip terminals? Yes! Your EMV card will still come with a magnetic stripe on the back so you can continue using your card at ATMs and Point of Sale Terminals while merchants in the U.S. are transitioning to new terminals. Do I need to enter a PIN number or sign my name? When making debit transactions you will be asked to enter your PIN number. Credit transactions will ask for your signature. Will chip technology change the way I pay online? No. Your online shopping experience will not change. And you can still make purchases over the phone like you do today. Do I have to change my automatic payments? Yes. Your new EMV debit, travel, and credit cards will come with an updated expiration date, as well as a different CVV number on the back of your card. If you have your card information saved to merchant websites such as eBay, Apple, Amazon, etc., you will need to update that card information with the new dates and numbers on your new cards. How can I get a Members 1st EMV debit, credit, or travel card? Not a Members 1st cardholder? Open an account today. What’s the difference between PIN and Signature transactions on my debit card? A PIN transaction can be performed at any merchant’s Point-of-Sale (POS) terminal where you select “Debit” at the POS terminal and enter your Personal Identification Number (PIN) to process your transaction. A Signature transaction can be performed at a merchant’s POS terminal, telephone transaction, or online transaction. Select “Credit” at a merchant’s POS terminal and sign your name to process your transaction. Some signature transactions may not require a signature if the transaction amount is below the merchant’s threshold (usually $25 or less). Telephone and online Signature transactions do not require a signature. The two major differences between PIN and Signature transactions is how the transactions are settled and protected. PIN transactions are processed and settled almost instantaneously. As soon as you complete your PIN transaction, the funds have been removed from your checking account. Signature transactions are normally processed and settled within one to two days. When you complete your Signature transaction, the funds may take one or two days to be removed from your checking account. Although Signature transactions may take extra time to settle, they come with the added security of Visa’s Zero Liability Policy providing you protection from 100% of fraudulent transactions committed from Signature transactions. How do I sign up for Online Banking access? Sign up for Online Banking access on our registration page or by visiting your local branch. What do I do if I receive a message that my Online Banking access is disabled? An account is usually disabled because the wrong password has been entered more than three times. To have your account reactivated, please contact us. How do I view and print a copy of my check? Select the checking history and choose the check number desired or view check image. An image preview window will open showing a picture of the check. Printing is available via a small printer icon in the image preview window. An eStatement is your regular Member statement or Visa statement in a digital PDF format. A monthly email notification will indicate your eStatement is now available. Login to Online Banking or download our mobile app for Android or iOS to view and download your eStatement. Login to Online Banking to sign up for eStatements. Watch our eStatement tutorial for help or contact us for assistance. Not registered for Online Banking? Get started here. How do I clear my browser history and cookies? Cookies are stored on your computer by websites you visit and contain information such as site preferences or login status. Sometimes, stale cookies and browser cache can cause issues with Online Banking. Clearing your cookies and browsing history can help. Select the link of your browser below and follow the directions to clear your cookies. How do I setup external accounts and ACH transfers? The setup of an external account will allow you to transfer funds to and from your Members 1st account to an external account with another financial institution. The maximum transaction amount per day is $2,000. You can setup one-time or recurring external ACH transfers. The use of external accounts is currently unavailable on Android devices. Your External Account setup is now in a pending status. Over the next few days two micro deposits will be placed into the External Account and removed the same day. Return to the External Account menu and enter the two deposit amounts to complete the External Account setup. You must have available equity in your home, whether it is paid off or you currently owe less than it is currently worth. Members 1st will allow you to borrow up to 80% of the value of your home minus the amount you owe. To be able to qualify, your credit history, work, and other personal information will be taken into account. Members 1st Credit Union offers both a fixed rate term and a variable rate term. The fixed rate term supplies you with a 5-year draw period with a 10-year repayment period following. The variable rate term supplies you with a 10-year draw period with a 15-year repayment period following. For the variable rate equity lines, Members 1st will start with an independent index, which is the monthly average of the Six Month Treasury Bill Rate. We will use the most recent index value available to us as of 10 days before the date of any annual percentage rate adjustment. Members 1st will allow you to borrow up to 80% of the value of your home minus the amount you owe. The draw period is the time you have to take funds from your HELOC to complete your home improvement projects or whatever you would like to use the funds for. The draw period for our fixed rate term is 5 years. The draw period for our variable rate term is 10 years. To extend the draw period of your existing Members 1st HELOC, please call (530) 222-6060. Any money that you borrow against your credit line will be charged interest. Members 1st Credit Union has two options when it comes to paying back your HELOC. You have the option of choosing a fixed rate term or a variable rate term. For rate details, please see our current rate sheet. The repayment period is the duration of time you have to repay the balance of your line of credit following your draw period. During this time, you may only make payments toward your balance and you may not draw on your line of credit. The repayment period for variable rates is 15 years following your 10-year draw period. The repayment period for fixed rates is 10 years following your 5-year draw period. A HELOC is a line of credit secured by your home. HELOCs act similarly to credit cards, but instead of borrowing funds from your credit card’s available balance, you are borrowing from the available equity in your home while your house serves as	collateral for the line of credit. When you pay back the balance on your HELOC, the availability of the line of credit would go back up, similar to a credit card. Many people use these lines of credit for home improvement projects or paying off other debt with a higher rate. Your debt-to-income ratio, otherwise known as DTI, plays an important role with applying for a loan. DTI is the percentage of your gross monthly income (pre tax) that is taken up by your monthly debt payments. When you apply for a loan, lenders will look at your current monthly payments and your projected monthly payments on your new debt. They will then calculate that with your income and your DTI will then be determined. The lender will then decide whether or not you will be able to afford the payment. The lower your DTI is, the better chance you have in qualifying for a new loan. Calculating your DTI is simple. Add up all your debt including credit cards, car loans, student loans, mortgages, etc. You do not have to include bills such as your gas and electric bills, garbage, phone, or electric. Divide the total amount of debt that you pay each month by your gross monthly income (pre tax). The percentage that you receive at the end of that calculation is your DTI. 40% is generally the highest lenders want to see your debt-to-income ratio. Depending on where you are looking to get a loan or the loan that you are looking at, they may require you to have a lower percentage. The way to lower your DTI is by paying down your debt. The lower your debt, the lower your DTI will be. 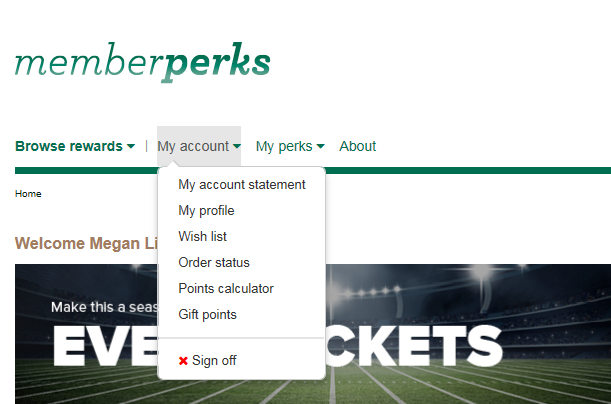 Members can gift points to each other to combine points for larger point redemptions within the Memberperks redemption website. How can I tell if my personal information is being transmitted securely? In order for your information to be sent securely, it must be encrypted. You can verify if you are logged onto a secure site in two ways. If you look in the address bar of your browser you will see that the address begins with https://. non-secure sites begin with http://. Most browsers will have a padlock icon in the bottom right or left of the browser window. You will be able to click on the padlock to verify the security of the site you are visiting. Please note that when you want to perform online transactions, you will be forwarded to a third party vendor that maintains our online banking program. When verifying the padlock for Members 1st Credit Union you will be verifying for www.m1cu.org. When verifying the padlock for the online banking program, you will be verifying for www.flexteller.net based out of Salt Lake City, Utah. Encryption is the process of scrambling data into an unreadable format that is more secure for transmission over the Internet. Very similar to a secret code, encryption takes your data and uses complex mathematical equations called algorithms to scramble the information into an unreadable format called ciphertext. The ciphertext is impossible to read without having a key to unscramble the information to its original form. Information is scrambled or encrypted at the client side (your browser) and then unscrambled or decrypted at the server side. The two most common levels of encryption are 40-bit and 128-bit and they have both been implemented commercially on popular browsers like Microsoft Internet Explorer. The encryption we use during online sessions to transmit your financial data is based on the highest level of security currently available in North America, to prevent the risk of the information being intercepted and read by a third party. What is the difference between 40-bit encryption and 128-bit encryption? There are currently two levels of encryption available in today's popular web browsers: 40-bit encryption and 128-bit encryption. Although most browsers support 40-bit encryption, the 128-bit browsers provide the highest level of security available in North America today. Netscape and Microsoft are currently restricted by United States law from exporting the 128-bit encryption software outside of North America. We strongly recommend that our members utilize 128-bit encryption. To utilize 128-bit encryption make sure your browser is up to date.